Cooking with Goat Meat – Demonstration tomorrow! Have you been tempted by the fabulous cuts of goat available at the Farmers Market, but are not quite sure how to cook them? Tomorrow we have the clever Kate Field, from Leap Farm, presenting a cooking workshop, demonstrating the best way to slow cook goat meat, as well as some fantastic ideas for cooking prime cuts of goat meat. 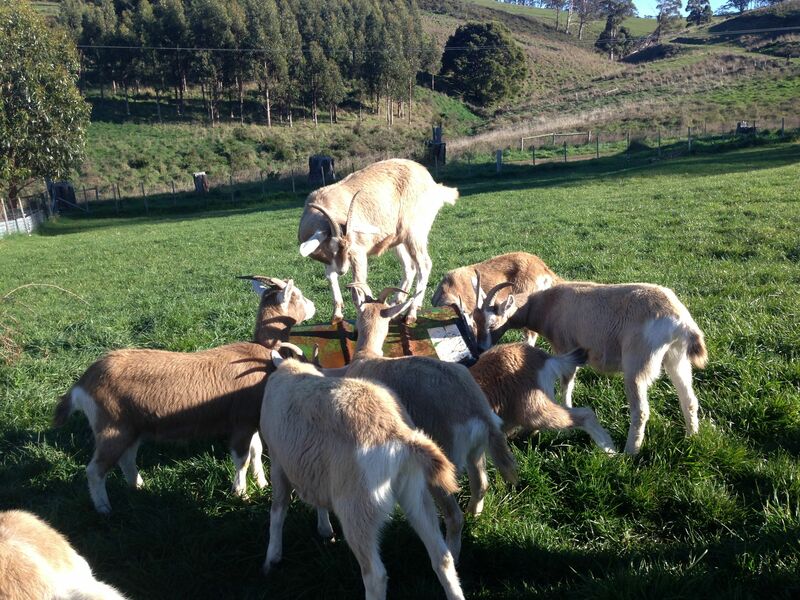 Ian and Kate raise their goats on the green, rolling hills of Bream Creek and their stall has been one of the most popular at the market, selling fresh cuts of goat meat, as well as curries, ragu and other seasonal dishes. Kate and Ian also have two fabulous recipes in the soon-to-be-released Bream Creek Farmers Market Cookbook and we can assure you that their gorgeous recipes taste just as good as they look! Image supplied by and used with permission from Leap Farm. « Dunalley P and F Menu for the October Market – tomorrow!